Garrard, the upmarket jeweller based in London's Mayfair, was originally chosen by Queen Victoria to be the official crown jeweller in 1843. The little-known jeweller Harry Collins has been selected by the Queen to take over the coveted role of caring for the crown jewels and the monarch's personal collection. Collins runs a family-owned antique and modern jewellery business at Tunbridge Wells and will travel to London once a week to tend to the Queens' collection of priceless tiaras, necklaces, and brooches. He has been the Queen's private jeweller for five years and is the first jeweller ever to have his workshop in Buckingham Palace. 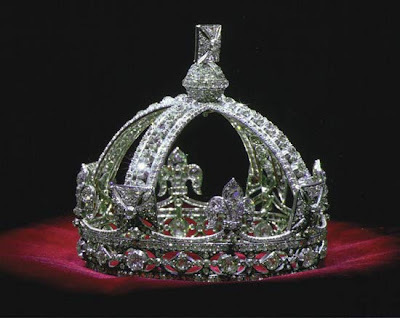 Shown here: The famous Small Diamond Crown of Queen Victoria, made for her by Garrard, which measures just 9 centimetres wide and 10 centimetres tall. 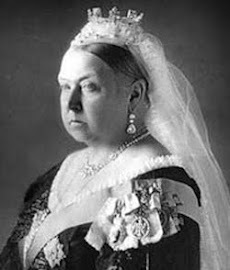 Victoria first used the crown at the State Opening of Parliament in February 1871. 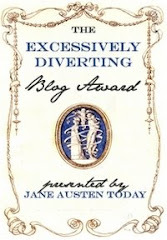 She subsequently wore it as required on state occasions.